Death of Man: Where Does the Soul Go? 1. What happened to the souls of Old Testament Believers when they died? a. They went to heaven. b. They went to a temporary place called Sheol. 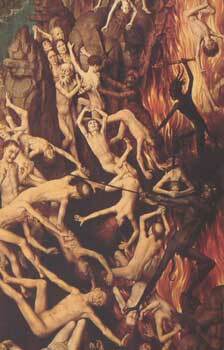 c. They went to Hell until Jesus was crucified. d. They stay with the body until Jesus returns. 2. What happens to the souls of non-Christians when they die? a. They go to purgatory. b. They go to heaven. c. They go to Hell. d. They go to Hades. 3. What happens to the souls of Christians when they die? What happens to the spirit or soul when people die? What and Where is Sheol? The Intermediate State: Soul Sleep… Does it exist? Understanding 1 Peter 3:18-20… When Jesus was crucified, did He go to Hell?